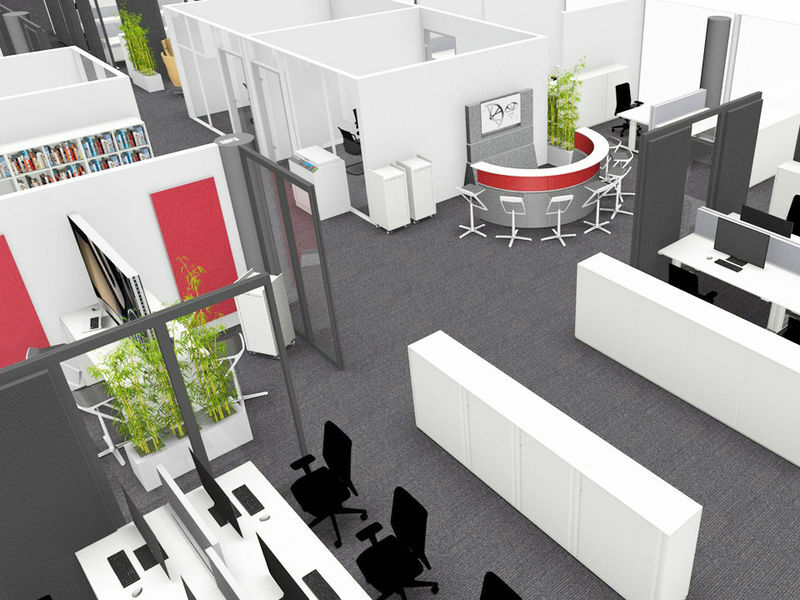 In the preceding quick check, you discover what your individual activities profile looks like and how the matching working environment structures itself into various office zones. To transfering these findings into an appropriate furnishing solution – WINI’s network of trained and qualified customer service staff provides you with on-site consultancy, tailor-made to the next level. We analyse the special factors and requirements involved at your company, drawing on direct dialogue with you, and resulting in a preliminary zoning plan which we hand over to you as a print version. In the detailed planning phase that follows, THE MY OFFICE PRINCIPLE implements a flexible sorting pattern consisting of office zones, functional areas, fitting-out modules and furniture systems which are assembled in an individualized furnishing plan in tune with the tasks and processes of your company. In this way, a working world emerges which provides the best support for every one of your daily tasks.